Instead of snacking on junk food — which is obviously bad for your health — why not find healthier, but still tasty options? Try tree nuts. They are delicious, nutritious, and can even lower your risk of diabetes . Carried out by researchers from Canada, the study looked at existing evidence on the effect of tree nuts on metabolic syndrome . The researchers found that the greatest decline in blood sugar and triglycerides was seen in people who made tree nuts part of their diet in comparison to individuals under the control diet. The participants consumed an average of 50 grams (g) of nuts every day. 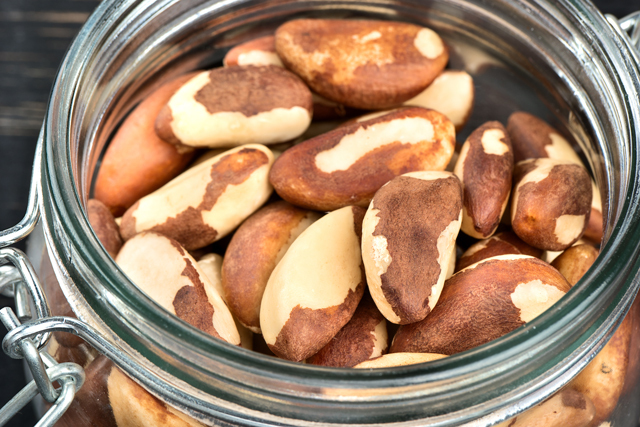 If you want to try snacking on tree nuts, some good choices would be almonds, Brazil nuts , cashews, chestnuts, hazelnuts , hickory nuts, macadamia nuts, pecans, pine nuts, pistachios, and walnuts. However, the best choice would be organic, sprouted nuts. Non-organic tree nuts are packed with toxic substances that can promote inflammation, cancer cell growth, hormonal imbalances, and various digestive problems. The ideal amount of tree nuts you would have to consume every day is 50 g, which is equivalent to 1.76 ounces each day.